Ratings for The Orville are finally in and to no one’s surprise, the series generated ample sampling. According to Nielsen, the debut of Seth MacFarlane’s sci-fi debut on September 10 earned a 2.9 adult demo rating (18-49) and in live-plus-three, went up to a 3.5 in the same demo and drew 11.3 million viewers total. Initial numbers were delayed to Hurricane Irma and damage to Nielsen’s facility in Tampa. 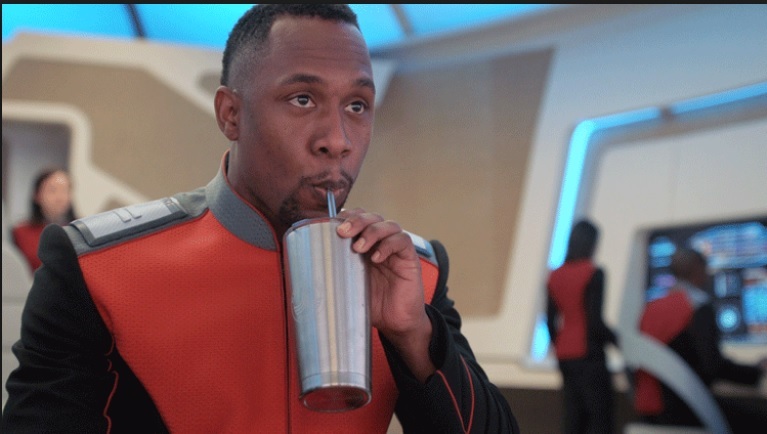 Given the positive reaction on social media (yours truly was NOT one of them), The Orville has a good chance of holding its numbers when it moves to Thursday nights on September 21, and could cause headaches for the new Will & Grace on NBC and Scandal’s final season on ABC. You can say Fox and The Orville caught a huge break when NBC decided not to move hit drama This Is Us to Thursday night from its Tuesday night slot. As for the other early starter Steve, the “new” talk show scored ratings increases since Steve Harvey’s move to Los Angeles. According to B&C, Harvey is up 9 percent in households in 54 metered markets and 25 percent in women 25-54 based on last year’s four week averages. San Diego’s NBC-owned-and-operated KNSD had the best story – up 125 percent from its lead-in and up 100 percent from the 2 p.m. show from last year, Harvey’s old show. It looks like Harvey’s move to La La Land is paying off – much to the chargin to us Chicagoans. After being delayed by Hurricane Irma and the numbers are finally in – and they are not looking good. While ratings for Sunday Night Football were up from a year ago, ratings for NFL daytime games last Sunday were down for Fox’s doubleheader numbers and CBS’s singleheader numbers. Not helping matters, at least in the Chicago market, was the Indianapolis Colts getting thrashed by the Los Angeles Rams from a more-than half-empty Memorial Coliseum. 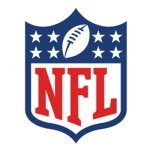 ESPN’s Monday Night Football also had ratings declines, with the opening doubleheader down 13 percent in the 18-49 demo for the first game and 7 percent for the second.. Locally, the Bears home-opener against defending NFC Champion Atlanta was down 7 percent from last year’s opener, according to Phil Rosenthal at the Chicago Tribune. The game on Fox owned-and-operated WFLD had a 20.8 rating – a big number, but far from the numbers the team used to put up some time ago. NFL fever hasn’t exactly gripped Chicago, as the Mariano’s Grocery Store in the Bronzeville neighborhood (also known as Douglas) showed soccer instead of the Bears game as African-Americans may have tuned out in part due to Colin Kaepernick not being able to sign with a team. Already, two bars in the area opted not to show NFL games as a result. This past week’s numbers should take an even bigger hit locally as the Bears were a no-show against the Tampa Bay Buccaneers in a blowout loss. Keep in mind Hurricane Irma coverage on the Weather Channel and other places may have contributed to the ratings slippage. The NFL’s ratings declines last year were talk-about almost daily in the media industry, with blame running the gamut from too many blowout games to anthem protests. The biggest oddity? The former San Diego – now Los Angeles Chargers – drew a higher rating in Comic-Con land than it did in Los Angeles, with the game airing on ABC owned-and-operated KABC. But keep in mind L.A. is the second-largest market in the country and has more households than its I-5 rival, only ranked 28th. In an era of “get big or get out”, Weigel Broadcasting has chosen to get big – the Chicago based station group has bought three stations – one each in Los Angeles (KAZA), St. Louis (KNLC), and Salt Lake City (KCSG. ), the latter purchased last month. In St. Louis, KNLC’s seller is the New Life Evangelical Church – owned by the Rev. Larry Rice, a controversial religious figure in the city. KNLC signed on in 1982 and has aired mostly religious programming, but also general-market entertainment fare. According to a Wikipedia entry on the station, KNLC acquired rights to air Fox Kids programming in 1995-96 and UPN in 1999. In each case, KNLC’s affiliation gave headaches to both, with numerous pre-emptions and filling local ad avails during the shows with PSA’s on conservative issues. Fox moved its kids programming off KNLC after only a few months. Look for Weigel to fill the void left by the sale of MyNetwork TV affiliate WRBU to Ion – a former general market independent station sold to Ion in 2014 as the purchase is certainly good news for syndicators whose product hasn’t been able to be cleared in St. Louis – one of those is Who Wants To Be A Millionaire. Weigel’s subchannels Decades, Movies!, and Heroes & Icons are also not seen in St. Louis, and are likely to be carried on KNLC. Rev. Rice plans to shift his programming to an Internet channel. When the former WCFC-TV (now WCPX) was sold to Pax (now Ion) in 1998, the principals behind the station shifted their programming to cable by creating a new channel – Total Living Network. 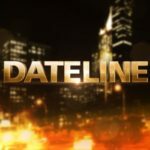 A quick update regarding the Fall 2017 Syndication Preview yours truly wrote last week: NBC Universal’s Dateline reruns are slated to air on WPWR-TV weeknights at 11 p.m. beginning Sept. 25. Gone from station schedules are Twenieth’s Raising Hope and Disney-ABC’s weekly Marvel’s Agents of S.H.I.E.L.D, canceled after just one season. Also ending its run after ten seasons in syndication is NBCU’s Law & Order: Criminal Intent – its syndication debut is one of the first long-form articles I wrote when the site debuted eleven years ago. Despite these departures, all three series can still be found airing somewhere on cable TV or available on one of three the streaming services – check your local listings. 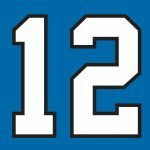 And speaking of eleven years ago… today marks the start of season number twelve of T Dog Media, as yours truly started this blog all the way back on September 18, 2006. Whether you’ve been with me since day one or became a regular reader anytime along the way, I want to thank you for your support. And for as long as I’m able to, I will continue to inform and entertain (and sometimes annoy.) Who’d thought in 2006 when I started this I would be still doing this? For more of yours truly’s madness, follow me on Twitter @tdogmedia.